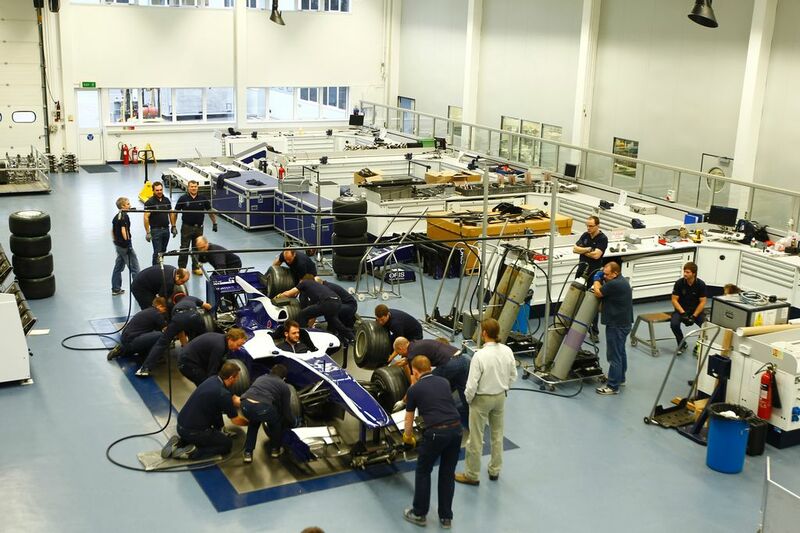 Motorsport enthusiasts are being given the chance to take a special, behind-the-scenes tour of the world famous Williams Formula One team factory in Wantage, Oxfordshire. The exclusive opportunity comes as part of the team’s support of National Motorsport Week (NMW) and will take place on Sunday 21 October. On the day, guests will be given an exclusive viewing of the Williams Grand Prix Collection, the largest of its kind in the world, as well as a detailed tour of the factory including the machine shop, race bays and other engineering facilities. Other highlights of the tour include a video link welcome from Sir Frank Williams, a Q&A session with Mike Coughlan, technical director and a virtual tour from the Williams F1 team award-winning conference centre. All guests will also be given the opportunity to enter a raffle, with a chance of winning a full hospitality package for two people at a Williams F1 conference centre race day. National Motorsport Week is a celebration of UK motorsport jointly promoted by the Motorsport Industry Association (MIA) and the Motor Sports Association (MSA) that is book-ended by two of this country’s premier motorsport events – the spectacular Goodwood Festival of Speed and the Formula 1 Santander British Grand Prix at Silverstone. National Motorsport Week also features a wide range of initiatives and activities ranging from novice taster events run by local motor clubs to factory visits and open days at many of the UK’s premier motorsport-focused organisations. Tickets cost £70 per person and half of the proceeds from sales will be given to the team’s supported charities which include the Spinal Injuries Association, Macmillan Cancer Support and the Motorsport Foundation. Spaces are strictly limited - pass onto family and friends!